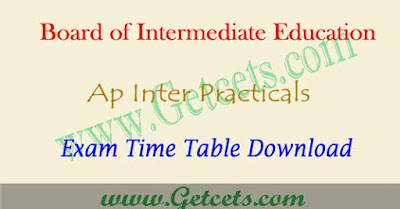 AP Inter practicals time table 2020 BIEAP hall tickets : AP Intermediate Practicals timetable is released, check ap inter practicals jumbling system, ap intermediate practicals schedule through online. candidates those who are going to write 2nd year practical exams can check these latest updates. 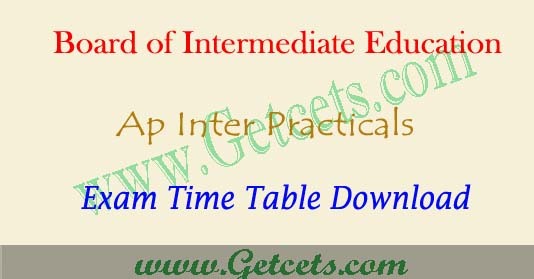 Authorities of the board have uploaded AP Intermediate 2nd year practical exam dates and AP Inter Practicals hall tickets 2020 on official website. AP Minister Education Minister has instructed to the officials regarding of the intermediate practical examinations to be conducted without any violations. Minister said that CC cameras is mandatory to set up at every practical centre. Second session will be conducted from 2 PM to 5 PM. Yes. In the past, students have jumbling system, for this academic year major policy is introduced that for the first time jumbling policy will be applied to the examiners also. So jumbling system in intermediate practicals 2020 is applicable for students and invigilator from this academic year. Frankly ask us by comments and share this AP Inter practicals time table 2020 hall tickets article with friends on social media for appreciation for us and we may again continue for the AP Inter practicals time table 2021 hall tickets and AP Inter Results 2020 through this website.